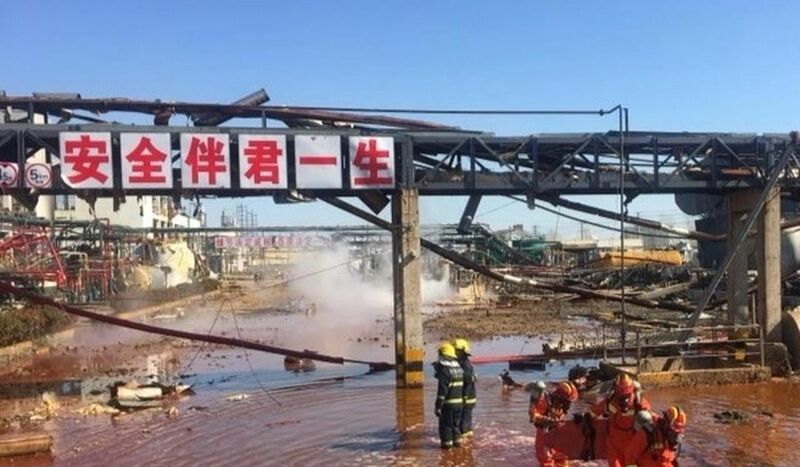 Executives of a chemical plant in China’s Jiangsu province have been taken into police custody after an explosion on Thursday killed at least 47 people, injured 640 others and polluted areas several kilometers away. Jiangsu Tianjiayi Chemical plant was flattened and 16 neighbouring factories were left with varying degrees of damage. The impact smashed windows and uprooted roofs of some buildings and reduced others to rubble. The plant had been flattened and reduced to rubble, with only part of the workshop frame still standing. South China Morning Post reports that Cao Lubao, mayor of Yancheng, where the blast occurred, said on Friday that nearly 3,000 people – employees of nearby plants and residents – had been evacuated after the explosion at the Jiangsu Tianjiayi Chemical plant in the township of Chenjiagang, which left a giant crater. Schools and kindergartens had been closed while the authorities monitored air and water quality, Cao said. State news agency Xinhua released a video of a man calling out to his family just after he was pulled from the rubble on Thursday night. “I am out. Firefighters rescued me. I am fine, just some minor injuries,” the man said, gasping. Workers at the Henglida Chemical Factory, 3km from the blast, said its windows and doors were blown out. Its roof collapsed as they tried to escape, causing head injuries. The deadly blast caused pollution in the area’s air and rivers. 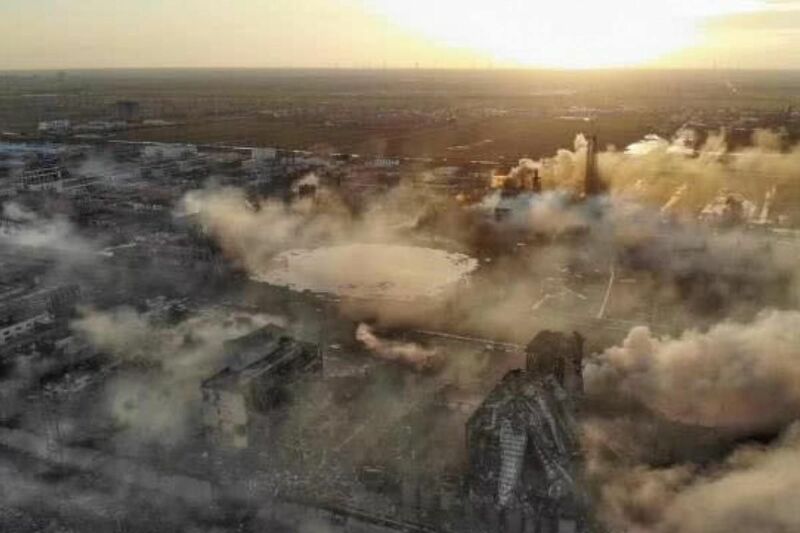 Tests on Friday morning 3½km downwind from the explosion site found levels of nitrogen oxides that were almost twice the national air safety level for industrial zones, capable of causing respiratory infection, the Jiangsu Ecology and Environment Department said.